In case you’re not aware of the German tradition of Christmas Markets, here’s a short introduction: about a month before Christmas, you can see these ensembles of booths being installed and combined with Christmas Trees, seasonal decoration, special light installations. Some Christmas Markets may even feature rides like roundabouts and Ferris Wheels. Some Christmas Markets may however only exist for a day or two. The booths are usually offering everything and anything that may or may not have to do with the season: from Glühwein (punch) to hand crafted socks, from candy sticks to curry wurst. Some Christmas Markets may have their own theme – depending on that theme decoration, the music played and the range of goods offered may vary. 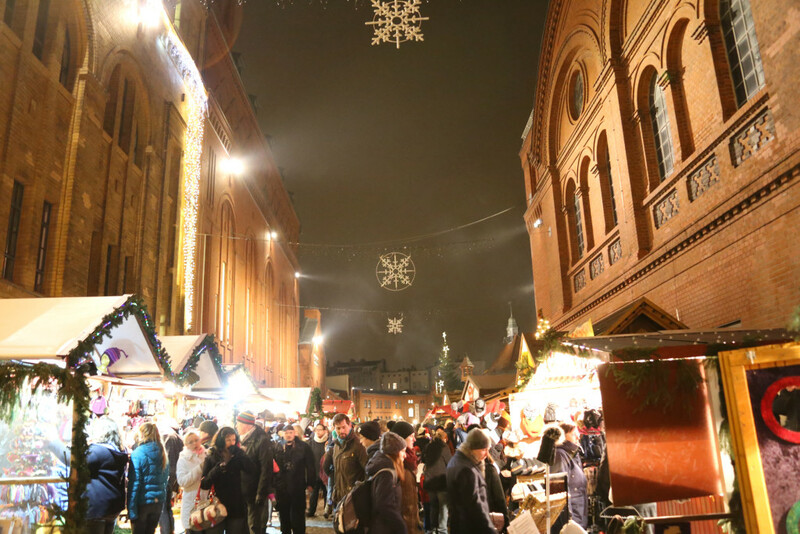 Christmas Markets are a popular option to gather with friends or work colleagues, to snack, chat – and have a drink. Of course there are usually attractions for children – and very often every Christmas Market has at least one Santa Claus, that either works for the Christmas Market professionally or may be just random person dressing up as Santa Claus.